Investing in SEO for your website can provide a huge ROI, especially as new customers discover your brand. But to maximize your ranking and come out on top of your competitors, it is important that you choose the right SEO company that is up to date on the latest strategies and techniques. Just as digital technologies seem to be constantly innovating, so is the world of search engine optimization. Many of the strategies that were used 10 years ago are no longer effective as the Google algorithm has undergone several updates throughout the years. The same goes for other search engines, especially as the increase in mobile searches has affected the ways that results are compiled for local relevance. 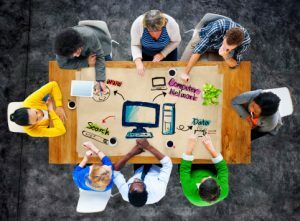 When you are choosing an SEO team to help boost your website’s digital presence and visibility, be on the lookout for these following characteristics. When it comes to SEO, what works for one company may not work for the next, because each brand has its own unique goals. For example, whether your brand is aiming to attract local customers to visit your brick and mortar, or if you are trying to attract a global audience to visit your online shop, the SEO strategies that should be implemented will be significantly different. Finding an agency that offers an individualized approach that can help your brand reach its unique goals, rather than using one-size fits all approach, can help you maximize your return on investment. Establishing a network of links that connect to your website will not only improve your digital reach, but it will also help build credibility for your brand, something that Google and other search engines consider in their algorithms. While this is not the only SEO strategy, it is an important one that you need to be on the lookout for when choosing a company to work with. Another way that you can tell a good SEO company from an outdated one is based on their keyword integration strategies. Keywords are an important part of SEO as they help search engines identify that your website is relevant to specific search requests. Using the right keywords can help ensure that people who are searching for products/services that your brand offers can easily connect with your website. However, just like other aspects of SEO keyword strategies have changed quite a bit over the years. In the past, the common methodology was to include as many keywords as possible into any piece of digital content. Newer updates in search algorithms, however, often penalized websites that use bad SEO practices like keyword stuffing, which is why it is important to find an SEO company that is up to date on the latest keyword density guidelines. As the dynamics of the web are constantly changing and more and more companies are investing in SEO for their websites, it is natural that your ranking may change from month to month. When choosing an SEO company, then, it is good to look for an agency that offers regular reporting and audits that can keep you informed about how your website is doing and what you can improve to keep it competitive. Some companies even offer free SEO analyzer tools that can help you determine your ranking. Finally, when choosing an SEO company, it is always a good idea to look for testimonials and reviews to see how other brands felt about the quality of service. Having an established reputation can speak to a company’s experience and expertise. If you are looking for a top rated SEO company in Las Vegas that fits the above criteria and more, contact Top Rated SEO today to learn about how our custom solutions can boost your website’s visibility and increase your traffic.